This working paper synthesizes and analyses the genetic, morphological and production system characteristics of five indigenous goat populations of Ethiopia, namely Ambo, Gondar, Woyto-Guji, Arsi-Bale Highland and Arsi-Bale lowland goats. The paper is based on three MSc theses and one ongoing PhD study. Based on the analysis, the paper recommends intervention options for genetic improvement and conservation of the goat resources and for sustainable production systems under which the goat populations are raised. Morphologically, the majority of the Ambo goat population have a patchy coat colour pattern. Pure white and mixed coat colours describe the Gondar goat population and the majority of the goats are horned, males have ruff but not the females. Similarly, Woyto-Guji is described by patchy, plain and spotted coat colour. Both Arsi-Bale Highland and Lowland goat populations can be characterized dominantly by plain coat colour of black and white. However, the second dominant coat colour pattern in the highland and lowland goat populations, respectively, is patchy and spotted coat colour pattern. Molecular analysis revealed very narrow genetic differentiation with only two haplogroups or maternal origins (haplogroup A and G). The highest number of haplotypes was obtained in Gondar goat population and the lowest in Ambo. Demographic expansion analysis showed two recent and rapid expansion events of the goat populations. Most of the variation in the goat populations is explained by within population variation and the pair-wise population differentiation estimates were very low. This is because of the presence of large population admixture. The major challenges of the goat production in all the study areas are disease, drought, feed and water shortages, in ranking order. The goat marketing practice is traditional in all the study areas. Genetic improvement options for these goat populations need to consider the production environments in which the populations are maintained. Selective breeding could be considered as a suitable breeding strategy with application of genomic and reproductive technologies as appropriate. 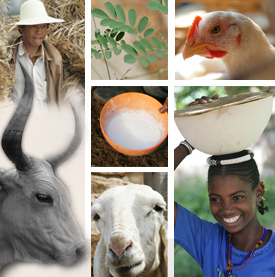 Selective breeding together with intervention options to improve the production environment to overcome the production constraints ranked by farmers would contribute to designing sustainable production systems for the goat populations studied. For this, a parallel development in infrastructure and institutional framework is required. Mekuriaw, G., Gizaw, S. and Tegegne, A. 2016. 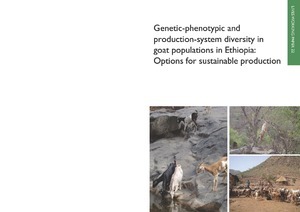 Genetic-phenotypic and production-system diversity in goat populations in Ethiopia: Options for sustainable production. LIVES Working Paper 22. 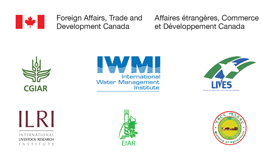 Nairobi, Kenya: ILRI. Tags: working paper. Bookmark the permalink.